“The only thing worse than being blind is having sight but no vision,” Helene Keller. How many times do we go to pray and thank God for the gift of legs that walk, hands that touch and eyes that see? How many times do we complain of the things that we’ve seen and wish we haven’t seen? What so many people have and take for granted, some people can only imagine what having that thing is like, and all the difference it would make in their lives. Do not be mistaken, they are not complaining. In fact, some are very grateful. The things that people think are obstacles are often our greatest strength. Mary Magdalene is one of such testimonies. Born blind in a family of eight, Mary Magdalene is one of the three surviving children with five of her siblings deceased. She was born at a time where being handicapped was considered a curse and to her parents, a burden. They too didn’t know what to do with a blind child at the time. Many of the relatives thought she was bewitched. This judgement and constant prying from the relatives drove her parents mad with the need to get her out of sight, after all, out of sight means out of mind. Her parents decided that she would not have a chance if she stayed with them, so they sent her to the convent to live among the sisters. The sisters in the convent took care of her and later when she was six, they took her to St. Francis School of the blind. At school, she became very religious, learning the Bible from cover to cover. As she narrates, she tells me that since she learned religion, religion entered her and soon became her. She continues to say that John chapter 9 has been her inspiration and strength for all these years. Inspite of all this optimism, Mary remembers a time when she wanted to be a nun. After her education, she went back to the convent and requested that they retain her as a sister but to her disappointment and shock, she was turned down. She was told that for her to become a nun, she had to fulfill all the requirements and one of which was that she had to have no disability and with full physical fitness. It is at that moment she realised that God’s purpose for her was to spread His light and wisdom out into the world and in a small way, help those like her; those whose disabilities end up defining them. 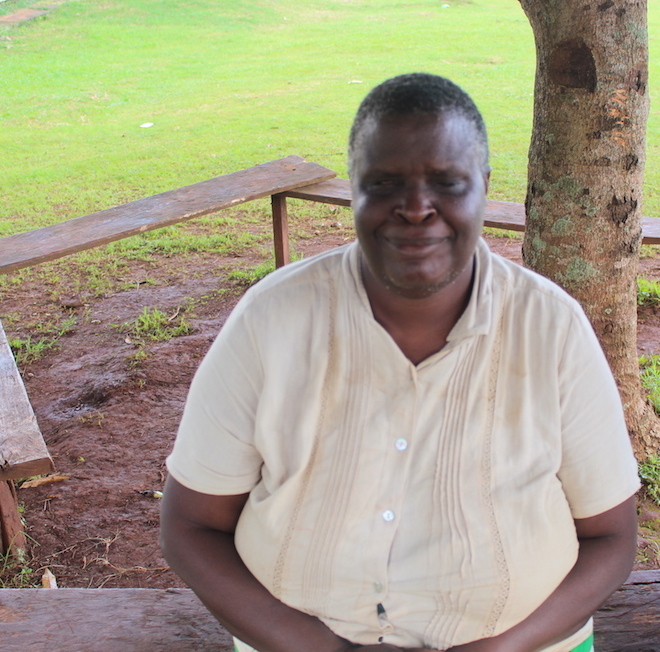 Between 1998-2000, Mary trained to become a teacher. 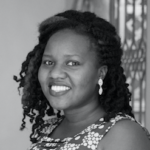 Later and on 27th October 2001, she got a job as a teacher at Salama School for the blind which she has done till today. She vividly remembers this moment like it was yesterday. She now has 18 years experience of teaching blind primary school students Math, reading, writing and religious education. She describes her students as persistent and intelligent. She loves her job. She also loves the fact that her job allows her to take care of her brother and sister’s children. With the little she has, she manages to stay with her niece in the teacher’s quarters, therefore sharing one bedroom. She wishes she had more so that she could give more. 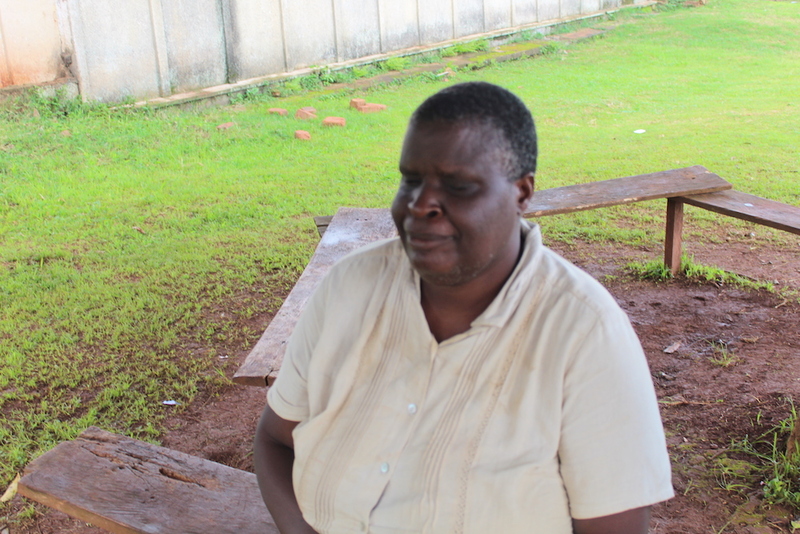 Mary Magdalene expresses her disappointment in the system when she says that the blind have very few schools in Uganda and the main ones are Salama School of the blind and the other one is in Soroti. According to her, others are just units. Mary Magdalene believes without a doubt that blind people like all the other handicapped are a resource to this country. Unfortunately, many of those born blind are left to grow up as burdens to their families that often times do not want them, instead of taking them to school and therefore giving them a chance to make independent decisions about their future. 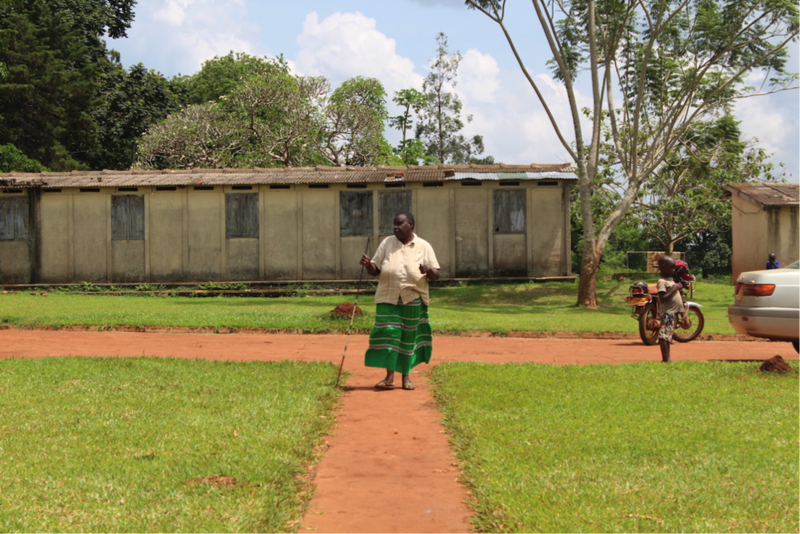 She also had very many ideas on how Salama School of the Blind could be improved. She wishes that the school can be equipped with more braille machines, braille papers and braille textbooks so that children can read on their own without waiting for teachers. As we wind up our conversation, she requests that I guide her to the staffroom as she picks up her walking stick. On our way, she starts to crack jokes about people who can see amused that I, who had just come to visit, had taken five minutes to learn my way around the school, while for her, it had taken eighteen years. When asked about her age, she laughs and replies, “I am definitely well advanced in years and life which is why I would never get married. Very few people see life like I do,” She jokes. Her optimism, persistence and humour are the kind that we all wish we could have in the face of adversity. Now, let us all imagine all the things we could be grateful for the next time we pray!